OAT Patagonia trip, Dec 2013. 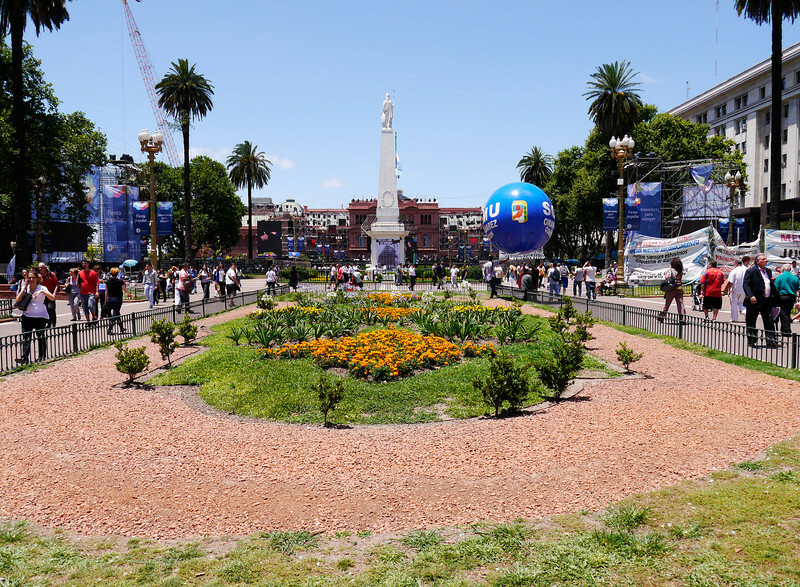 The "May Pyramid" located at the hub of the Plaza de Mayo, is the oldest national monument in the City of Buenos Aires. The bldg. in the background is the Casa Rosado (Pink House), the executive mansion and office of the President of Argentina.